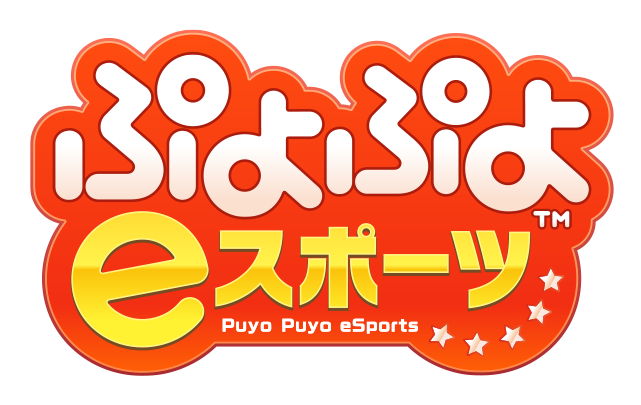 Today Sega officially unveiled Puyo Puyo eSports, a budget title intended to get a pure Puyo game onto current consoles. An arcade version is also in development, tentatively also titled "Puyo Puyo eSports" and with no release date. This game only features Tsuu and Fever as selectable rules. Tournament mode allows players to run an 8 person offline single elimination bracket. The controllers are passed between competitors at the start of each round. Boost mode is an optional comeback mechanic that grants a losing player additional bonuses like extra garbage power and free chains over the course of the set. Note: Signups and check-ins close one hour before the start of the tournament. Standard rules apply to this tournament. Check-in starts three hours prior to the start of the tournament. Please notify the tournament organizer if you cannot locate your opponent at the start of a round. If you do not show up for a match within 6 minutes of the start of the round, you automatically forfeit the match. If you are in losers' bracket, you will automatically be eliminated from the tournament. 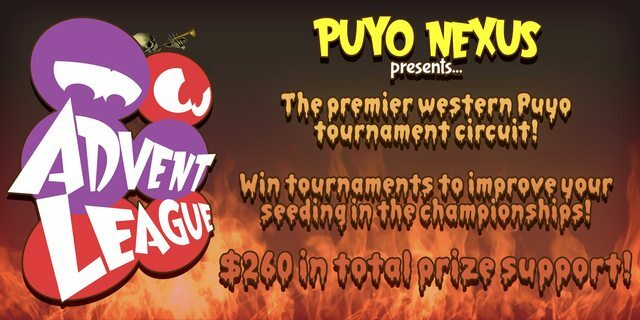 #PlayPuyo tournaments occur every month, typically on the first or second Saturday. 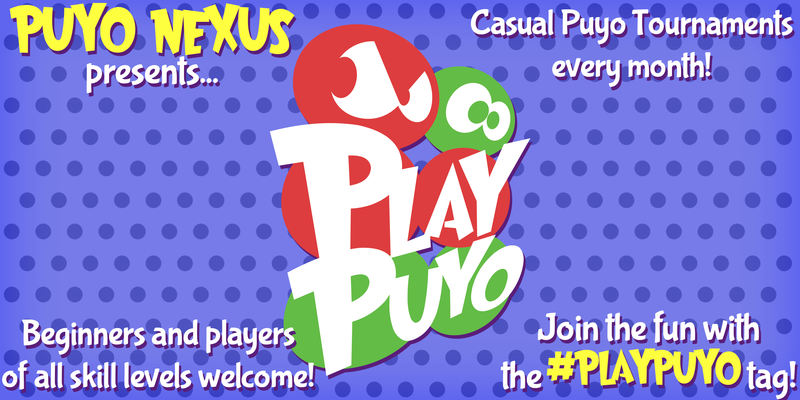 Players able to stream their matches to the #PlayPuyo community are encouraged to do so! In cases where the exact gift card value is not redeemable, I will give you the nearest equivalent value, if available. Pick the pool that most closely corresponds to your self-determined playing ability. Please sign up for only one pool. If you are unable to sign up on Challonge, please enter one of the PuyoVS tournament chatrooms 15 minutes or earlier before the start time and ask a tournament organizer to be added to the tournament. The official start time for every tournament is 1PM US Eastern. Please check your local time to ensure accuracy. The winner of each Advent League receives a $20 digital gift card to the store of their choosing (or Paypal). In addition, the winner of each of the tournaments earns one point towards seeding in the championships! Check-in starts two hours prior to the start of the tournament. Following the closure of the Puyo Nexus Forums, the legacy-posting of PuyoQuest News on the Puyo Nexus Forums will terminate as well. 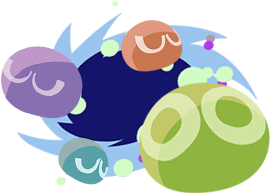 Information and news updates regarding Puyo Puyo!! Quest will continue to be documented on the Puyo Nexus wiki instead. The temporary transitional period has ended as of April 2 2018, and the posting of PuyoQuest News on the forums has terminated. After the transition, please continue to check the Event Timetable on the PuyoQuest Portal and the monthly bulletins for events, campaigns and other noteworthy notices. Readers are also welcome (and encouraged) to contribute to updates.